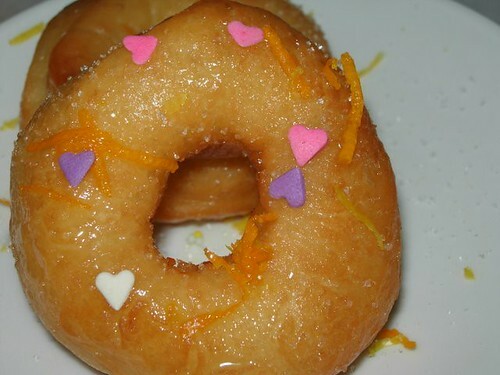 Zesty, lemony, orangey, syrupy doughnuts ala Jamie Oliver made by the kids. The shapes do not have to be perfect. The joy in making it is priceless. You want recipe? Just Google Donut Jamie Oliver and tell me what you find. those donuts look really yummy!! die..hungry liao!!!!!!!!!! fuh, u beat jamie oliver himself! so sui! ada heart-shape lagi! Yup, first time seeing hearts on a dough nut. What is that orange “stripes” on it? Chopped carrots? tenthofmarch – Orange peel. 😛 Those hearts are made of sugar. 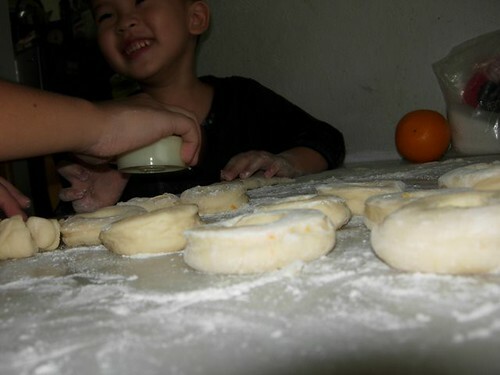 carmen – My kids like these stuffs, to decorate but not nice to eat cos very hard. 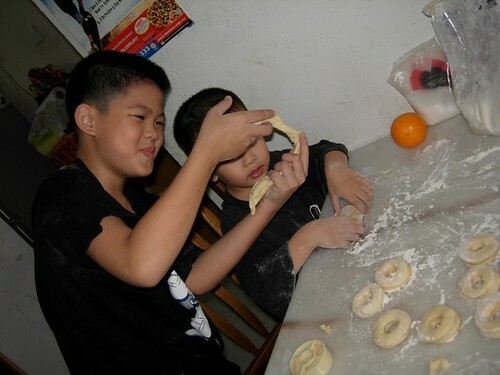 erina – Ya lor, no yeast smell like those cheap ones. 500grams flour produce sooooo many donuts. ehon – Eh, Ryan’s mom asked for yr blog. Visit her when you get a chance? wayne – Dunwan…..I write one paid post enough profit liao. This one must sweat over the hot oil. lingzie – Yalor, Penang no Dunkin Donuts or Krispy Kreme so boh pien, must DIY. may i have one too!! ?